There are many excellent hiking opportunities around Tucson, Arizona, with all levels of difficulty. 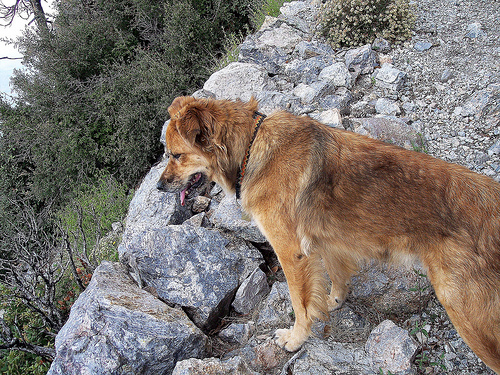 The Huachuca Mountains, Santa Catalina Mountains and Santa Rita Mountains are all amazing places to visit with your rugged dog! Note: Keep updated on these trails, because sometimes they face the problem of forest fires and need to be repaired. 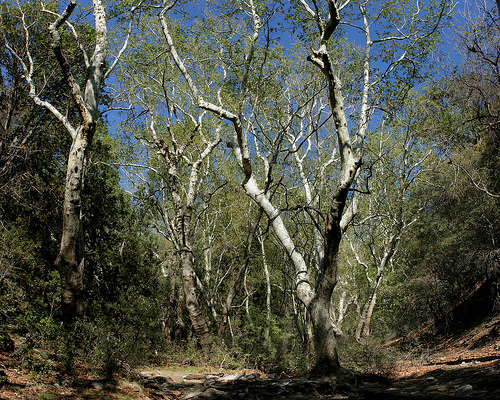 Located in the Huachuca Mountains, this is a wonderful three-hour hike. Your dog can join you on leash. It is known to be a great way to escape the summer heat, because of its shade and high elevation. It is approximately 4.6 miles in length, and is moderate in difficulty. This hike is within the Santa Catalina Mountains, and is about 3.7 miles long. It is a shorter hike of only 1.5 hours. Dogs can join you on leash, and it is moderate in difficulty. If you go on weekends, you should wake up early to grab a parking spot. It is a good spot for escaping summer heat, and you can get good exercise within the shade of the pine and fir forest. The Green Mountain Trail is a moderate hike in the Santa Catalina Mountains that can be done in any season, but it is recommended to go in the spring or fall. You are able to hike 3.9 miles through many different types of forest, and get stunning views. This particular trail is 2.2 miles, but there are also some side trails along the way. Dogs can join you on leash. This is a more advanced hike in the Santa Catalina Mountains, which you should plan in ahead. It is a five hour adventure through 8.6 miles of trail. It is best to do this hike in the spring, summer and fall. Dogs can accompany you on leash. This area has fantastic rock formations among the pine trees, and it does not get too crowded. Bog Spring is a trail in the Santa Rita Mountains, which is moderate in difficulty. It is recommended to go in the Spring, Fall and Winter. It takes about three hours to complete this hike, which is approximately 5.4 miles long. Dogs are allowed on leash. Hi Tanya – Do U have a hking group of somekind for hiking with your dog(s)? any Meet Up Groups etc. or other U know of that plan and share hikes?